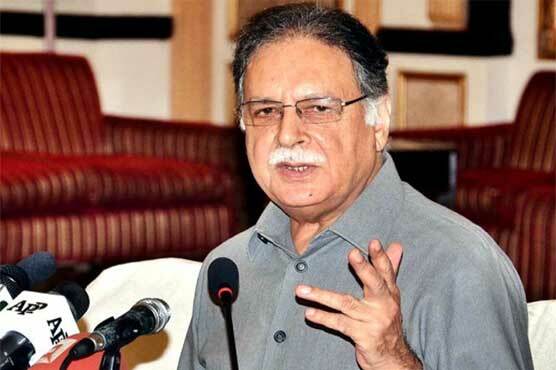 Information Minister Pervaiz Rashid the other day, called upon Kashmiris to reject those who did not support Sadiq Khan, the Pakistan-origin candidate who won the recent London mayoral elections. Addressing an Iftar dinner hosted by the Pakistan Muslim League-Nawaz (PML-N) candidate for LA-3 in Mirpur Chaudhry Saeed, Rashid said that the man who canvassed for an ‘anti-Pakistan’ candidate in the London elections had no right to solicit Kashmiris to vote for his party’s candidates in the upcoming elections in the valley. The minister recalled that during May’s mayoral elections in London elections, Pakistan Tehreek-e-Insaf Chief Imran Khan sought votes for his former brother-in-law Zac Goldsmith, not for the Pakistan-origin Sadiq Khan. “How can Imran seek votes of Kashmiris if he did not support Sadiq Khan?” asked Rashid. He went on to say that Imran had persuaded people to send money through ‘Hundi’, an outlawed practice. However, Rashid said overseas Pakistanis rejected his ‘wrong advice’ and remitted precious foreign exchange through banks. Rashid accused the three contesting parties, the PTI (represented by Barrister Sultan Mahmood), Pakistan People’s Party and Sardar Attique of Muslim Conference of depriving the city of basic amenities despite the large amount of foreign exchange remitted by Mirpuris. The PML-N, Rashid reiterated, will undo the injustices meted to the valley by these three parties and provide all facilities to Kashmiris to remove their sense of deprivation.